For Lack Of A 2×3…. Oliver’s Nest is this close to having a complete “roof” on it, well, not The Roof, just enough of one to allow easy tarping for any bad weather. 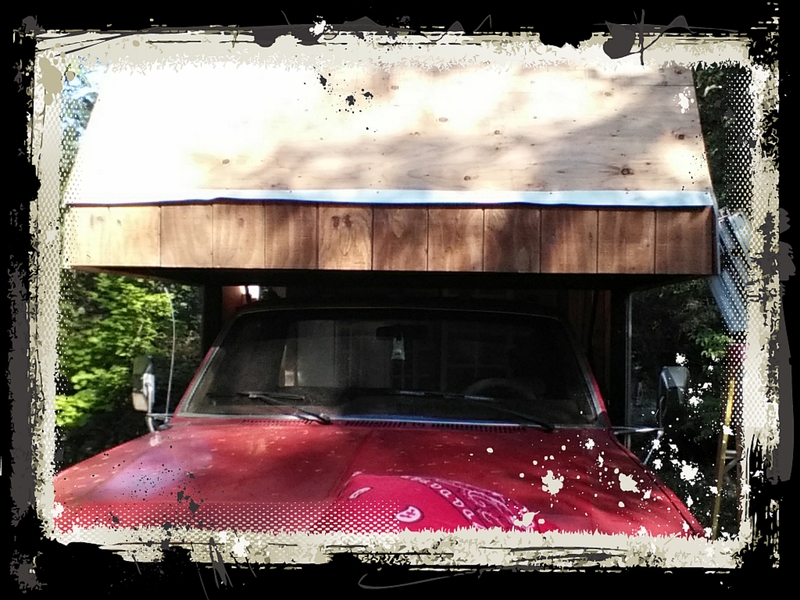 Except for needing a 2×3 for the angled portion in the cabover section, which I need in order to pre-prepare for the second planned skylight. I could scrounge up enough change to purchase one, but I’m thinking that maybe I should put on another layer of paint, instead. Also, I need a few more bits and pieces of lumber and plywood, so I feel I should save the gas money for buying it all at once. Yeah, yeah, I know. Gaps. It’s not finished yet. 🙂 The flashing has been pounded flat to enable the T1-11 and the windows to lay flat on the underlying plywood. Okay tell me once again how I can send money by paypal. Thanks, Diane, for commenting. I like the company!